I wrote this post sometime around 2008. Today, in 2018, I still own and use this holster. 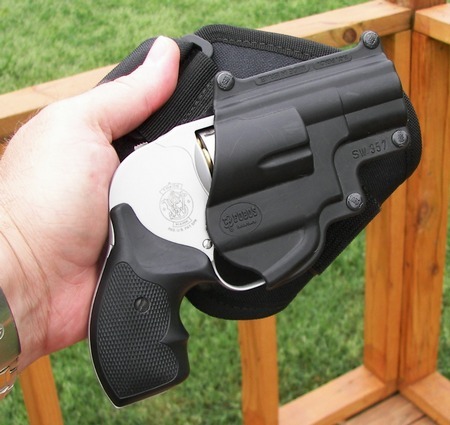 The Fobus Ankle Holster has finally solved what I and many other ccw permit holders fret over. Having the legal authority to carry a concealed firearm but many times not having a way to conceal it. I had considered one of the ultra small .380s on the market, but when it came time to actually lay down money for one, I (wisely I think) held off. Because of my concern for dependability and the ability to actually hit what I aim at with one of these guns it took a while to make a decision. Ultra small auto loaders are notorious for jamming and other dependability maladies. While the design concept is ingenious, the actual guns fall short of their advertised value. So, in order to stay not just armed, but dependably and with sufficient power, I had to take another route. 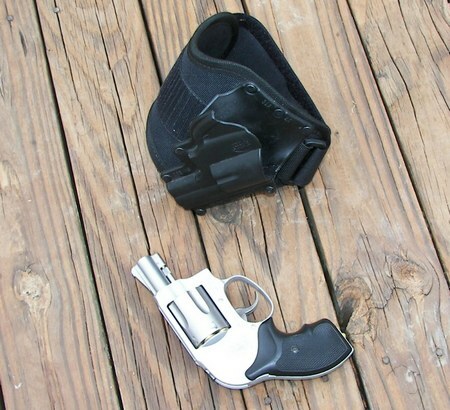 The answer was the Smith and Wesson Airweight revolver slipped into a Fobus Ankle Holster. At first, I couldn't imagine having something hanging on to my ankle all day long, every day and up to this point, I had rejected the idea of an ankle holster. But with my increasing angst over not being armed much of the time, I decided to take the plunge and try it out. After a good deal of consideration of both quality and price, I settled on the Fobus Ankle Holster with an injection molded sheath for the diminutive J Frame revolver. Now at first, I have to admit, I had some issues with the way it felt. I felt like I had a tumor on my ankle and finding the position that was the “sweet spot” took a few adjustments. Then I put the gun in it and practiced walking around my house with it. Then I went shopping with it. During my trip to the department store, I realized that nobody could see the holster, but they could probably tell I was walking like I had just had an accident down my leg. So, I had to concentrate on just walking normally and ignoring the foreign object hanging on my ankle. Finally, I wore it to work minus the gun just to see how it would work out on an all day basis. I learned in my early outing to the store that the best way to do this would be to put the holster on my bare ankle and pull my sock up over the sheath. 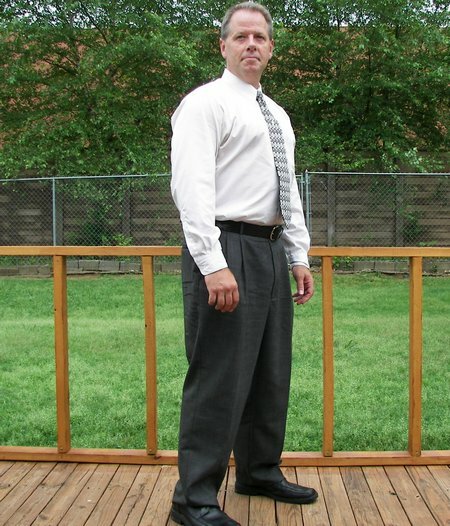 This adds stability and keeps the actual holster itself to be visible when you pant leg rides up slightly. I will have to buy more socks, but the added concealment is worth it. In just a few days, I was wearing the Fobus Ankle Holster all over the place. I'm without the gun where not legal, but otherwise it has allowed me to go legally armed 100% of the time. I can now wear it all day long and literally forget it is there. I have gone home, flopped down on the couch and been surprised to remember that the holster and gun were on my leg.